Until today I’d never been on a narrow boat, and had never really thought about going on one either, shame really. Now I know it won’t be everyone’s cup of tea, but the ride was quite relaxing and perfect for a lazy sunny day. Camden was heaving today as you can imagine, and the smells from all the different international street food sellers is always amazing, but I opted for good old fish and chips instead. I Think I Saw A Zulu Warrior! The thing that caught my eye and drew me near…. So the Shaka Zulu restaurant had an intrigue and allure that drew me up to the front entrance, there were plenty of nice things on the menu, along with a few unique dishes including wild boar and crocodile – the staircase leading down into the restaurant looked a bit dark and steep though – I chickened out and promised myself I’d Google it when I got home. I did, and it looks like a beautiful restaurant, very exuberant and unlike anything I’ve seen anywhere else in terms of decor – the food looks exquisite and the cocktails sound dee-lish. A return trip might be in order. Off to the chippy then! Now these are what I call ‘proper chips’ like you get up north! Honestly, its so hard to find decent fish & chips in London, but this one is a gem – make a note. Poppies Fish & Chips struck me as a bit quirky by combining an american vibe with fish & chips (usually a very English dish) with a juke box playing american songs in the background…but I loved it, it’s a great ambience and a lovely little restaurant tucked around a Camden corner. Take away options available, with pretty take away boxes! 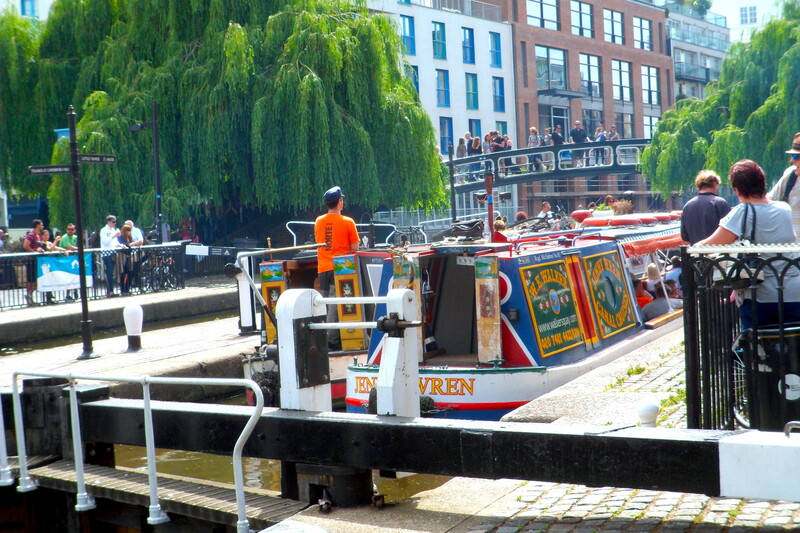 Excellent – A canal cruise is on my list of things to do. My next visit to London in Jan 18 .. might be a kind of cold for cruise then though! Just wrap up warm! 😊 I think most of them they operate all year round.